Platinum diamond engagement ring set with 10 asscher cut diamond and 2 trapeze diamonds, all diamonds are G colour and VS2 clarity, totalling 0.70 carat. The centre diamond is a 1.01 carat round brilliant diamond, I colour and SI2 clarity certified by GIA. This diamond is a triple excellent diamond and therefore has amazing sparkle. 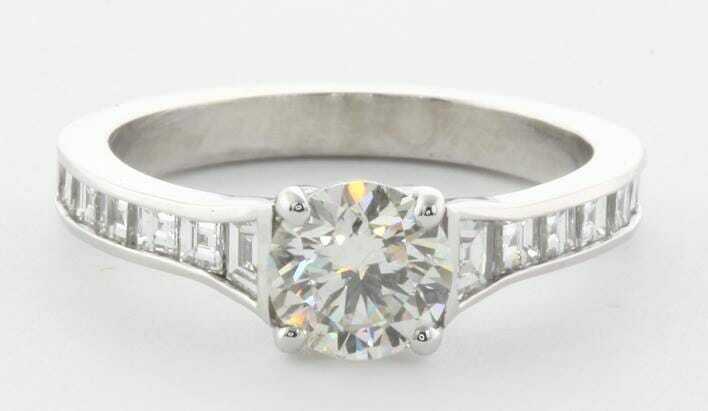 This ring was custom made on July 2012 based on the customer requirements. 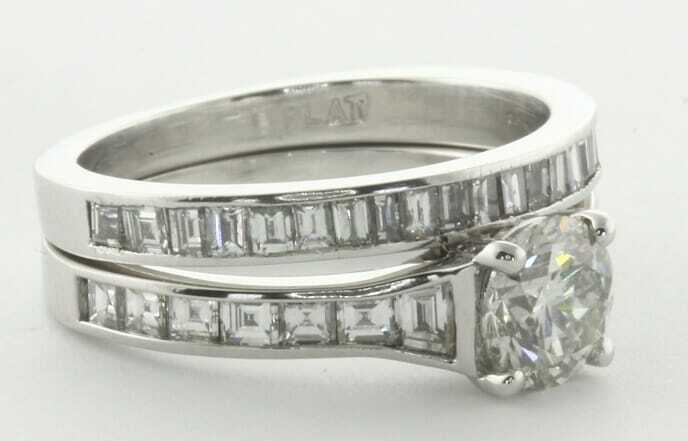 The customer was so happy with the engagement ring and ordered the platinum matching wedding ring in Dec. 2014. The total carat weight of both wedding ring and engagement ring is 2.50 carat.